In his essay, retired Justice John Paul Stevens said the "March for Our Lives" events on Saturday "reveal the broad public support for legislation to minimize the risk of mass killings of schoolchildren and others in our society." 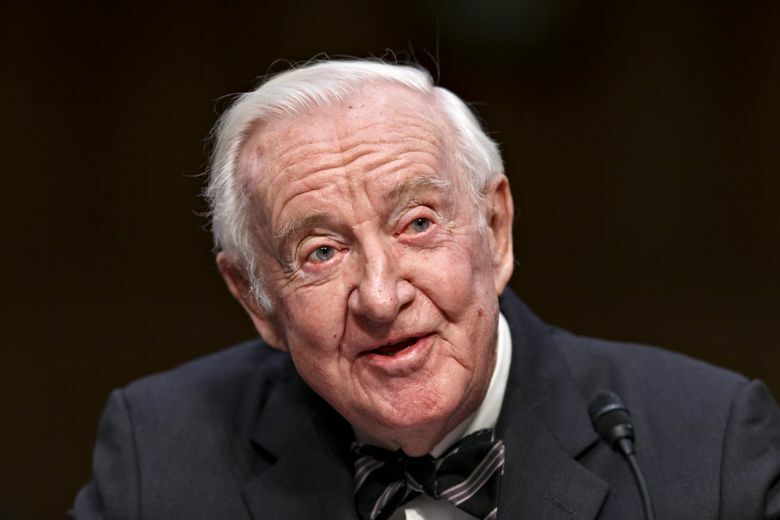 WASHINGTON (AP) — Retired Supreme Court Justice John Paul Stevens is calling for the repeal of the Second Amendment to allow for significant gun control legislation. “We think that the focus has to remain on removing weapons from dangerous individuals, not on blocking all Americans from their constitutional rights,” she said. The National Rifle Association also issued a statement in response to Stevens’ essay. “The men and women of the National Rifle Association, along with the majority of the American people and the Supreme Court, believe in the Second Amendment right to self-protection and we will unapologetically continue to fight to protect this fundamental freedom,” the statement said.